Sharon Bradley joined the University of Georgia School of Law in November 2003 and became the Special Collections Librarian in January 2006. Bradley is responsible for the special collections which include the Rare Book Room, the school archives, the faculty publications collection and the portrait collection. She is a member of the Library Leadership Team, which sets goals and policies for the library, and is part of the Reference Team, which develops programs and services to assist patrons with legal reference resources. Bradley teaches Legal Research as part of the 1L curriculum. She oversees the library's disaster planning efforts and serves on the school’s Emergency Preparedness Team. She came to UGA after serving as the reference librarian for technology education at the Thomas M. Cooley Law School in Lansing, MI. She has both taught and practiced law, previously serving as an adjunct professor at Wayne State University, assistant public defender with Florida's Second Judicial Circuit and attorney in private practice. Bradley is still a member of the Florida Bar Association. After receiving her bachelor's degree in criminal justice from Valdosta State College, Bradley worked as a missile maintenance officer in the U.S. Air Force. She then earned her Juris Doctor from the University of Montana, where she served as an editor of the Montana Law Review. While practicing law, she earned her Master of Library Science from Florida State University. 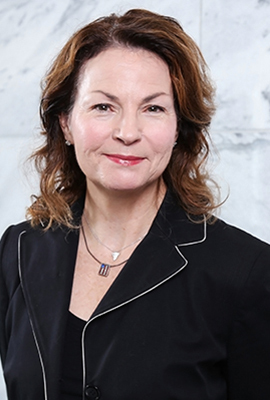 She is active in the American Association of Law Libraries (AALL), the Southeastern Chapter of AALL and the Legal Information Preservation Alliance. Bradley is very involved with historic preservation efforts in Athens-Clarke County. She has served on the Athens-Clarke County Historic Preservation Commission (2008-2016), is currently a member of the ACC Hearings Board and SPLOST Citizens Oversight Committee, and is chair of the Athens-Clarke Heritage Foundation Preservation Awards.